Fassler Hall in OKC donating 20 percent of sales on Thursday, March 28 from 5 p.m. to 9 p.m.
At the Oklahoma City Zoo, Groundhog Day is a bear of an affair! It’s time again for the OKC Zoo’s grizzly brothers, Will and Wiley, to put their fur-casting skills to the test with their annual prediction: six more weeks of winter or an early spring! The Oklahoma City Zoo and Botanical Garden is joining WildAid, the Association of Zoos & Aquariums (AZA), and AZA’s program, the Wildlife Trafficking Alliance (WTA), in a campaign featuring DreamWorks’ Kung Fu Panda’s Master Po Ping to educate children and families about the illegal wildlife trade. It is with great sadness that the Oklahoma City Zoo and Botanical Garden announces the unexpected death of one of its adult female Western lowland gorillas, Kelele, 24. The Oklahoma City Zoo and Botanical Garden is now hiring part-time Brand Ambassadors for Spring and Summer 2019! The Oklahoma City Zoo’s veterinary care team will perform a routine health exam, on Hubert, a 7 year-old male African lion. Hubert arrived at the OKC Zoo in 2012 from the Milwaukee County Zoo. Go wild this Thanksgiving break and get your steps in as you connect with nature and wildlife! Yucatan box turtle hatchlings and endangered Mang Mountain pit viper join animal family. Local event for national fundraiser, Bowling for Rhinos, challenges Oklahomans to improve their game and conserve rhinos. The Oklahoma City Zoo and Botanical Garden is hosting a monarch conservation “train-the-trainer” workshop on Monday, July 9, and Tuesday, July 10, 2018. The Oklahoma City Zoo and Botanical Garden is saddened to announce the death of female pygmy hippopotamus Francesca, 26, on Wednesday, July 4, 2018. This year marks the twenty-eighth anniversary of the 1/8 of a cent dedicated sales tax being passed by Oklahoma City citizens for the Oklahoma City Zoo and Botanical Garden, and to celebrate, the Zoo is offering free admission to guests on Tuesday, July 10, 2018. The Oklahoma City Zoo and News 9 are partnering to fight hunger and “pack” school pantries in central and western Oklahoma by raising food donations for the Regional Food Bank of Oklahoma. The Oklahoma City Zoo and Botanical Garden has a new arrival–a male Western lowland gorilla. The baby gorilla was born in the early hours of Tuesday, June 19, inside the Great EscApe day room to mother Ndjole (pronounced In-jōlee) and father Togo (pronounced Toe-go). This marks the 27th gorilla born at the Oklahoma City Zoo since 1974. World Giraffe Day, presented by Bob Moore Subaru, is a worldwide celebration initiated by the Giraffe Conservation Foundation to generate support, raise awareness and bring attention to the challenges giraffes face in the wild. The Oklahoma City Zoo and Botanical Garden is pleased to welcome Dr. Brad Lock, curator of herpetology and aquatics, and James Pratt, director of risk management, to its leadership team. The Zoo Amphitheatre, Oklahoma City’s beloved, outdoor concert venue, kicks off its summer season on Sunday, June 10, 2018 with John Fogerty and ZZ Top and continues through August. The Oklahoma City Zoo and Botanical Garden has proudly partnered with KultureCity to become certified as a sensory inclusive zoo. Bob Moore Subaru is partnering with the Oklahoma City Zoo and Botanical Garden to provide two 2018 Subaru Outbacks for the Zoo’s educational outreach programs bringing the message of animal conservation to rural and under-served communities across Oklahoma. Guests visiting the Oklahoma City Zoo and Botanical Garden this Saturday, June 2, are invited to celebrate half a century of Cindy the chimpanzee in the Great EscApe outdoor habitat from 10-11 a.m. The Oklahoma City Zoo and Botanical Garden is hog wild about three new arrivals. A special batch of Stonecloud’s Turtlehead Stout, appropriately called the “Turtle” Turtlehead Stout, made with caramel, cacao and toasted pecans, will benefit the TSA. The bees will contribute to the pollination process across the OKC Zoo’s 120-acres, keeping the more than 20 designated horticultural displays naturally vibrant and thriving. The Oklahoma City Zoo is seeking the public’s participation with naming its male fishing cat kitten. Voting is now open on the OKC Zoo’s Facebook page and will remain live until Thursday, May 10, 2018. Celebrate the cute creatures that bind our galaxy together at the Oklahoma City Zoo’s second annual Star Wars inspired animal enrichment event on Friday, May 4, from 10 a.m. to 2 p.m. Experts from the Turtle Survival Alliance (TSA) and several zoos and aquariums have been dispatched with medical supplies, and will administer medical care for the sick or injured tortoises and general animal care. In the last 20 years, the OKC Zoo’s botanical collection has grown in size and scope through the acquisition of new plants and gardens by way of major habitat installations and expansions. Put your love for wildlife and wild places to work at the OKC Zoo! The Oklahoma City Zoo and Botanical Garden is hosting a hiring event on Thursday, March 29 from 5:30 p.m. to 7:30 p.m. for job seekers interested in working for the Zoo’s education department. Waves of flowering tulips provide perfect backdrop for nature and photography enthusiasts! Clouded leopard Luke, 14, is scheduled for a routine health exam Thursday, March 1 at the Oklahoma City Zoo’s Joan Kirkpatrick Animal Hospital. There's always something happening at the Zoo! 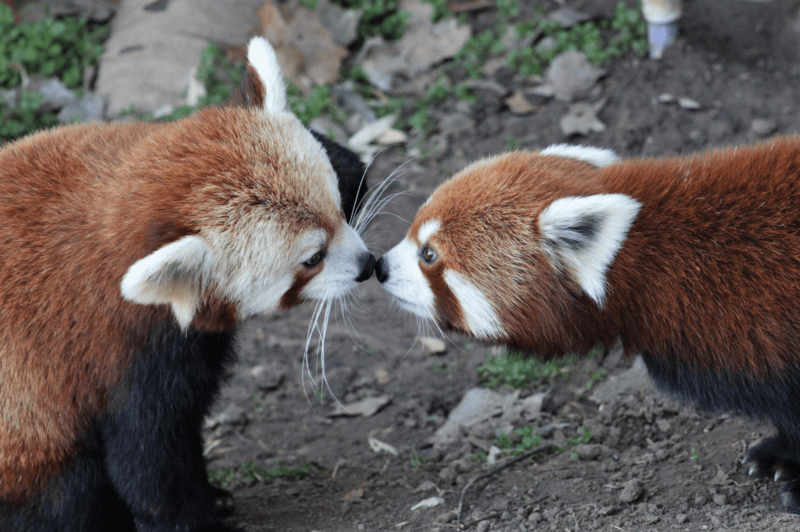 See what's in store for February, plus, five gift ideas that will keep you and your valentine wild at heart! A newborn Western lowland gorilla arrived at 8:57 p.m. on Wednesday, Dec. 13, 2017, inside the Oklahoma City Zoo and Botanical Garden’s Great EscApe habitat. They have since observed that the baby is a girl. Her name will be revealed in the coming days. Born in 1985, Rothschild’s giraffe Ursula, 32, died at the Oklahoma City Zoo and Botanical Garden on Wednesday, Dec. 20 at 5 p.m. Ursula spent 31 years at the OKC Zoo and was the oldest giraffe in a United States zoo accredited by the Association of Zoos and Aquariums (AZA). “The battle to save elephants from extinction and to preserve the species is waged in the wild and daily at accredited zoos and aquariums including the Oklahoma City Zoo,” said Dr. Dwight Lawson, executive director/CEO. 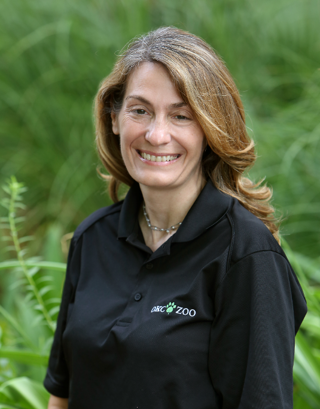 Dr. Rebecca J. Snyder is the OKC Zoo curator of conservation and science, overseeing the management of the Zoo’s growing and diverse conservation and research initiatives.